Hsu, P. L., van Eijck, M., & Roth, W. M. (2010). Students' representations of scientific practice during a science internship: Reflections from an activity-theoretic perspective. International Journal of Science Education, 32(9), 1243–1266. Students gain a better understanding of authentic science but do not have complete representations of scientific practice following science internships participation. Students' communication within presentations is mediated by the audience they are presenting to and what they perceive to be important. Consequently, students report stereotypical images of science, absent of community and division of labor issues. Authentic science relates to types of engagement that strongly resemble the jobs that real scientists and technicians do within science-related fields. It is thought to be important in promoting interesting and meaningful enquiry and a way for students to appreciate the values and norms of science as a human endeavour. Internships are an example of ways in which interaction with scientists can be facilitated, enabling engagement with authentic science and enhancing students' understanding about scientific practice. This study investigates the discourse around scientific practice of high school students during a two-month internship on water quality in a university biology laboratory in Canada. The authors draw on ethnographic data, including video data of student and technician presentations, and utilize systemic functional linguistic (SFL) theory to identify and distinguish clauses and activity theory to analyse the conversations about and representations of scientific practice. Similarities and differences between technicians' and students' presentations show that students' representations of scientific practices mainly reflect what was done by individuals and are action-oriented rather than focusing on collaborating communities. Students did have first-hand experience of the science community and its division of labor; however, this did not result in complete representations of scientific practice at the end of their internship. The authors speculate on the cause of this contradiction and relate students' understanding of science practice to their values and beliefs of reporting about science; that participating in authentic science and reporting scientific practice may not be reflections of each other but are embedded activities with differing goals. The authors recommend a number of strategies for making the less visible aspects of scientific laboratory work visible to students. 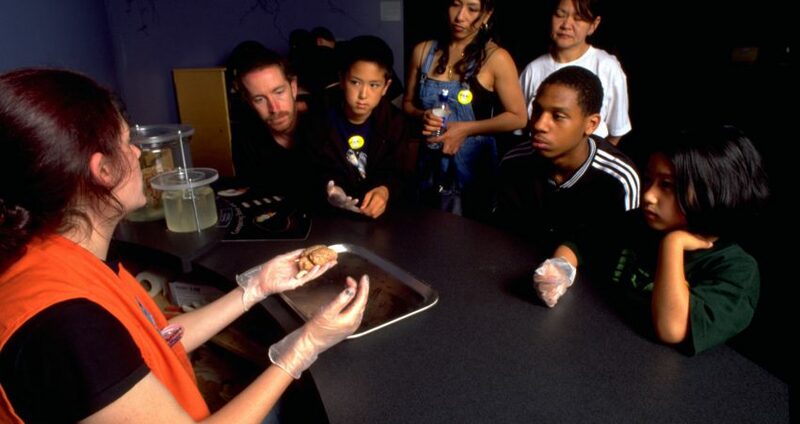 These include offering reflecting exercises as a metacognitive form of engagement for students to facilitate a deeper understanding of the less "visible"; designing activities to assist with student interactions with scientists in various contexts by scientists and educators; and allowing students to design their own enquiry with the support of scientists and technicians, which may create experiences of all types of community collaboration in scientific practice.